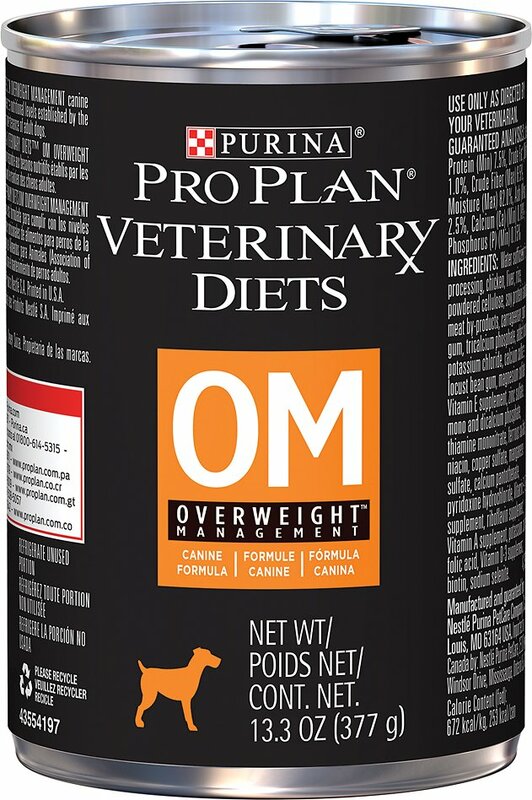 Purina Pro Plan Veterinary Diets Canine Overweight Management OM Canned Dog Food offers your dog a low calorie and low fat option for their diet. It features high protein to support lean muscle during weight loss and provides ample fiber, which helps satisfy your dog's appetite. OM Canned Dog Food is a complete and balanced formula for adult dogs.